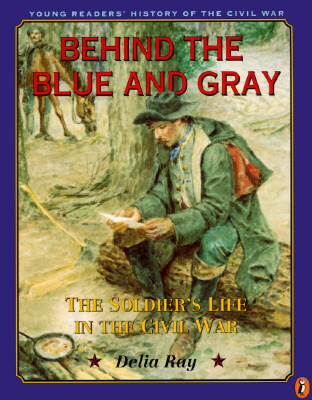 In this second of a three part series, this book traces the events of the Civil War from the first battle to the surrender with emphasis on the experiences of the individual soldiers. Whether they wore Union blue or Confederate gray, the untrained recruits of the Civil War quickly learned to endure the hardships of the army life. They experienced the horrors of battle, rampant disease, makeshift hospitals and prison camps, and even boredom. Drawing on letters, diaries, eyewitness accounts, and many vintage photographs, Behind the Blue and Gray explores the lives of soldiers from all walks of life, from all-black Northern regiments to young boys who lied about their age to enlist. Delia Ray is the author of numerous fiction books for young readers including Ghost Girl and Singing Hands. She has also written three young-adult nonfiction books about American history. She lives with her family in Iowa City, Iowa.